Advanced Download Manager Addon for Firefox - DownThemAll! 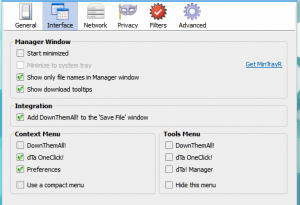 Advanced Download Manager Addon for Firefox – DownThemAll! If you’re not happy with the built in download manager of your web browser (which is totally understandable btw :)) then the best solution is to install some sort of a dedicated download manager such as Uget or GetGo for instance. But most of those tools are OS dependent (above mentioned two won’t run in other than the GNU/Linux platform) so the best solution is to use a browser Add-on, and because it runs on top of the web browser, it’ll work no matter what operating system you use. *. Increase download speeds up-to 400% according to the developers. *. 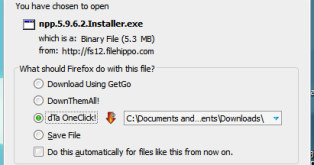 Adds to the Firefox Context menu and into the file downloading window. *. Pause/Resume or Restart downloads. *. Download any links in a given web page. *. Easily filter-out the file types that you don’t need ‘DownThemAll’ to capture. *. When a download is completes it notifies you with sound notifications and popups. *. Manually add mirrors (this is very useful sometimes for speeding up the download speeds). *. You can change few other additional tweaks via its “preferences” window. But remember, while I was using it I couldn’t get any YouTube videos to download using it. But once you’ve finished watching a video you can save it to the disk. If interested please get it from this page. Good luck. 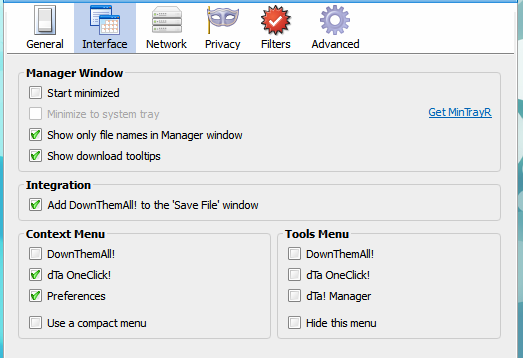 Excellent Free Download Manager for Windows – GetGo! How to Install Firefox 9.0 in Ubuntu 10.10 and 10.04?